Z PR has been retained for Superdrug's corporate and consumer PR accounts following a competitive tender, and won an additional brief with sister retailer The Perfume Shop. The Superdrug brief encompasses all elements of the brand’s PR excluding specialist health, wellbeing and pharmacy comms. As part of the tender, agencies could pitch for other briefs within brand owner AS Watson Group. Z PR pitched for The Perfume Shop, and has been appointed to work across consumer and corporate PR for the retailer from January 2017, which coincides with its 25th birthday. Z PR has worked with Superdrug since 2005, and was retained in 2013. PRWeek reported in May that Superdrug had put its consumer and trade PR brief, believed to be worth six figures annually, out to tender, with several agencies invited to pitch. Matt Walburn, Superdrug marketing director, said that Z’s campaign ideas for 2017 and beyond showcased creativity, commerciality and a "customer-focused approach that is in line with our brand ethos". Zaria Pinchbeck, Z PR founder and MD, said the agency hoped to spread "perfume passion and knowledge to a new customer base", and that it was "as excited about the [Superdrug] account now as we were back in 2005". She went on to say: "The beauty, and retail, world has changed hugely since then and it’s thrilling that we are able to continue to work with Superdrug on its journey." 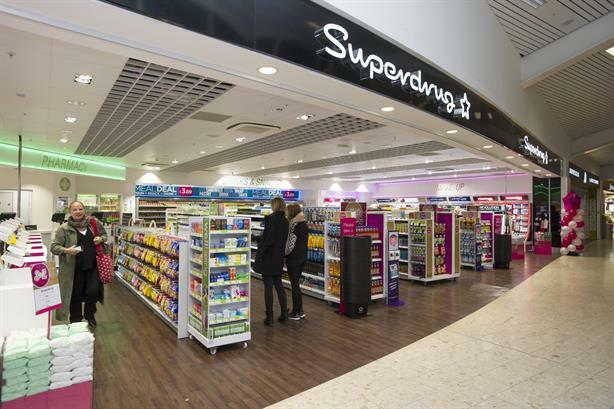 Superdrug declined to reveal which agency had won the specialist health, wellbeing and pharmacy brief. Superdrug is the country’s second largest beauty and health retailer, currently operating more than 800 stores in the UK and Ireland. The Perfume Shop operates around 260 sites nationwide.